Ben Cooper presents the Ghoulsville Electric Wolfman Lapel Pin. Based off the vintage Halloween costumes, this retro pin features bold colors and terror-ific packaging. 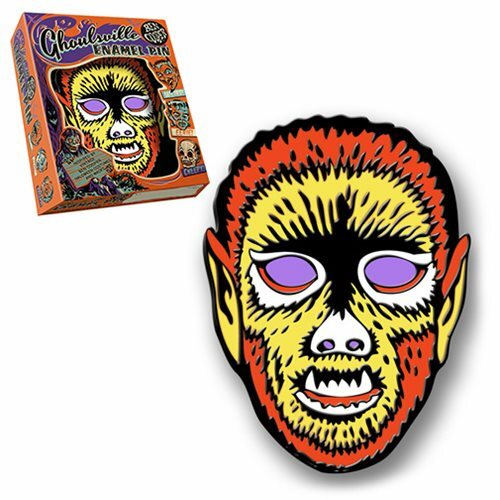 Fans of the monsters and Halloween will sure to love this Ben Cooper Ghoulsville Electric Wolfman Lapel Pin! Measures about 1 1/4-inches tall and comes with a rubber backing.